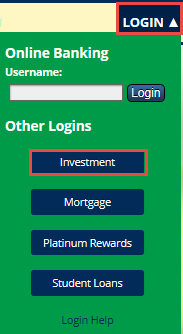 From the home page, select login and then choose Investment from the menu. From the main page, go to the Need ID box and select Register. 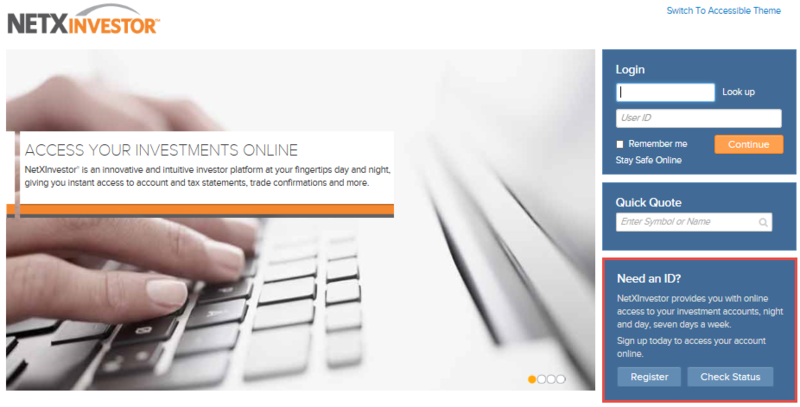 You will go through the 6 step process (1) after you enter your account information (2) and then select Start Registration (3). Follow the steps to complete the registration process. If you have completed the registration process, you will log in using your user id and select Continue to access your account.